Completely addicting bean dip made with cream cheese, mozzarella, taco seasoning, and (of course) refried beans! We love to eat ours with mango salsa on top. This is a recipe that my family is completely obsessed with and makes quite a few appearances this time of year for bowl games, NYE, and (in a few months) March Madness! It's super easy (just 4 ingredients!) and is a really great addition to any party or get-together alongside a bag of your favorite tortilla chips. My family also loves eating it as a side dish to a weeknight enchilada dinner. I think it's the VERY best when served with mango salsa. Something about the sweet cutting through the creaminess of the beans and cheese is absolute perfection in my book. 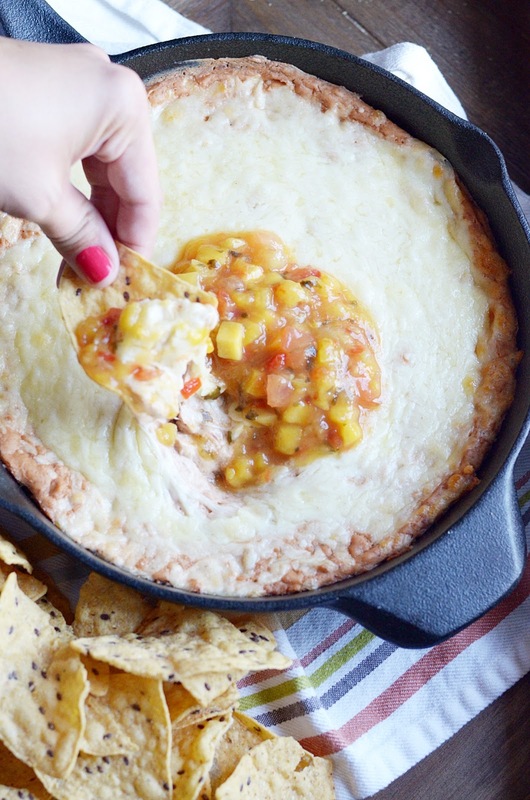 If you're planning on making dip for your New Year's Eve party this year, this is the one. And be sure to bring along the recipe (although, I think you'll have it memorized after making it), because everyone will want it!! 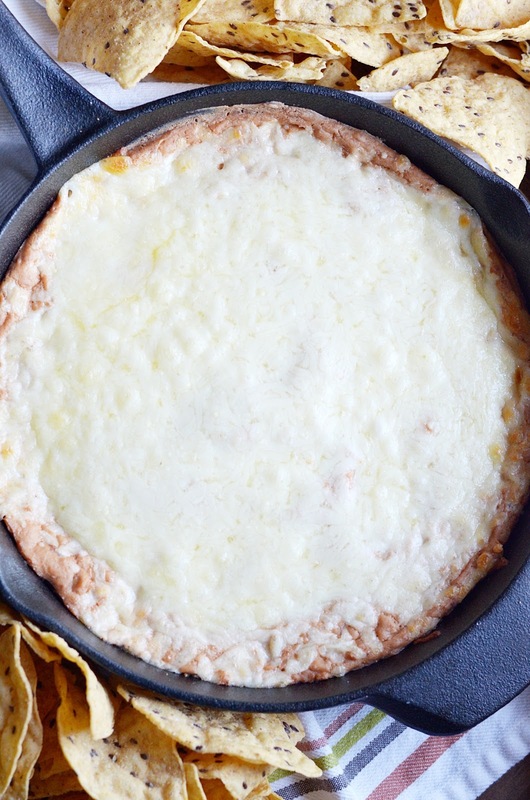 Use an electric mixer to beat together the cream cheese, refried beans, and taco seasoning. Spread mixture in a 9x9 baking dish. Sprinkle cheese on top. Bake at 350 for 20-30 minutes or until cheese is melted and bubbly. Serve with salsa and chips.